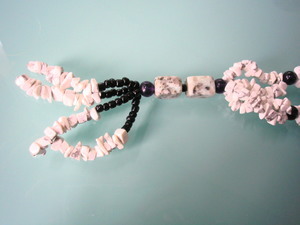 Long chunky white howlite necklace. 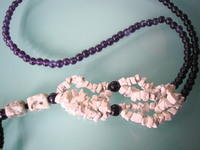 This necklace is made from white howlite chips strung together with round amethyst coloured glass beads. 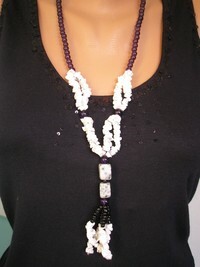 The necklace measures approximately 26 inches (66cms) in length and the tassel measures approximately 4 inches (10cms) in length. 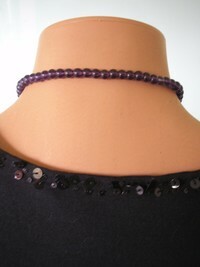 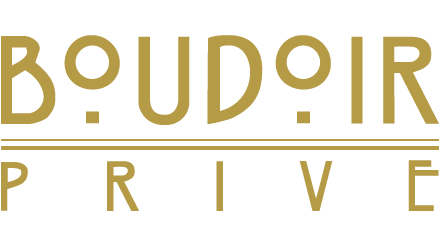 Due to the length of the necklace, there is no need for a clasp, as it slips comfortably over the head. The perfect piece for lovers of the unique!